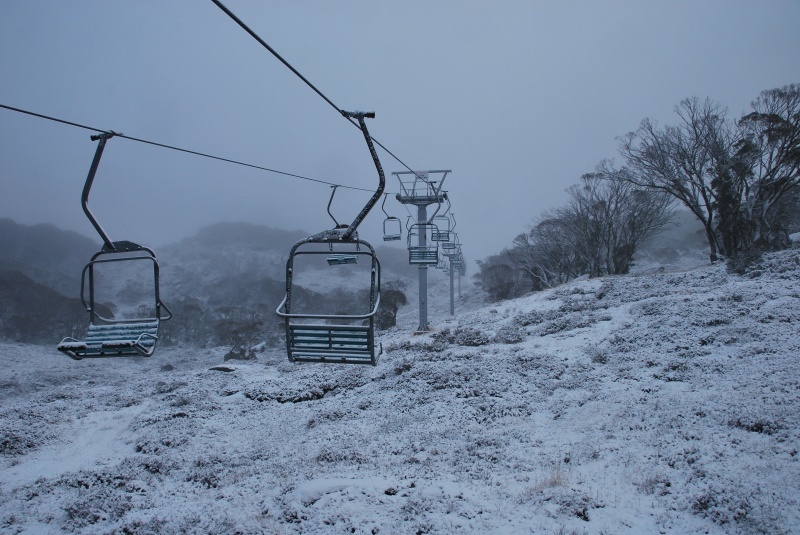 Perisher Valley (NSW), Australia – The ski slopes in Perisher were looking frosty white this morning as some of the season’s first snows dusted Australia’s Snowy Mountains. Temperatures hung below freezing from top to bottom this morning. Snow guns are already pumping on Front Valley and Mt. Perisher, where the ski season is set to debut in just under a month on June 10.